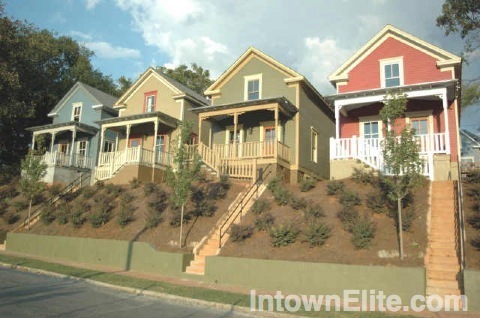 Cabbagetown was developed in 1885 around the Fulton Bag and Cotton Mill. Jacob Elsas, who owned the mill, built a small community of shotgun and cottage-style homes to house his workers, may of whom were recruited from the Appalachian region of north Georgia. The name is said to be derived from the fact that the predominantly Scots-Irish residents often cooked cabbage, leading to a distinct smell in the air. The name was a derisive term used by those outside the neighborhood, but was used with pride amongst Cabbagetown residents. Today, Cabbagetown is home to a wonderful mix of families, singles and young couples, as well as artists, small businesses, and places of worship - all within a cozy six block area. Cabbagetown is located south of Old Fourth Ward, north of Grant Park, west of Reynoldstown and southwest of Inman Park.